We have sent the story below to the Minister for Federal Transport as we have been caught up in a low-volume import car scam. 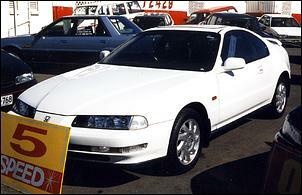 In July 2001 we purchased what we thought was a 1998 Honda Prelude through a local specialist import dealer. Recently, we decided to sell the vehicle as our incoming workflow had changed and hence, the vehicle was no longer required. We were shocked when we uncovered that the vehicle was in fact a 1993 model. The vehicle was complied through the Department of Transport (Importation of vehicles section) as a 1993 Honda Prelude VTI-R approval number 36497/1 in November of 1998. However, the VIN number and the original compliance plate that was issued for this vehicle seems to have been changed according to the departments computer records. The vehicle was imported by a private individual who resides in Sydney. The vehicle was first registered with the RTA in 1998 as a 1998 Honda not as a 1993 Honda as should have been the case. The vehicle has had several owners from 1998 to July 2001 when we purchased the vehicle. The dealer that we purchased the vehicle from seems to also been caught by this deception as they did not uncover that the vehicle was not in fact a 1998 model. The dealer did check with the RTA prior to trading the vehicle and was informed that what ever was stated on the registration papers was sufficient for establishing the year built. The dealer will supply us with the details of the persons that they dealt with in the next few days to assist us in compiling the case details. We supplied all the original markings on the vehicle to Honda - Japan and they have verified (in writing) that the vehicle is in fact a 21st January 1993 manufacture. Clearly, the system for importing vehicles needs tighter regulations and the original build plate should not be removed from the vehicles but an Australian compliance plate should be added. What we are now facing is a large financial loss, which will impact our small business severely. We purchased the vehicle from the dealer for $26,000 but have been advised that we might now expect in the vicinity of $13,000 - 14,000 as it is a 1993 model. We are considering further investigation into this matter and have already spoken in detail to the RTA and Department of Fair Trading who have requested a copy of our findings. We would greatly appreciate your advise on what our next course of action should be or how your department can assist us. 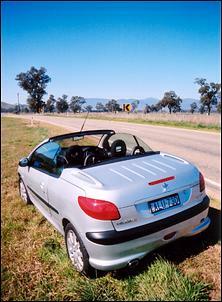 In your test of the Peugeot 206CC it seemed to get a positive review. However, if you read the Wheels 'Car of the Year' edition it gets absolutely canned - any comments? Steve, we stand by our review of the 206CC. For just 40k, the CC is the only hardtop convertible on the market for under $100,000! Who wants a noisy, leaking fabric soft top when you can get a 'proper' roof?! Mainstream motoring media shows a liking of the 206GTi, but the CC (which uses an identical driveline and is only around 10 percent heavier) gets "canned". Sure, there is a bit of scuttle shake on occasions (like most open-top cars) and rear room is a bit cramped but we're not talking about a car the same size as the Astra convertible. The Mazda MX5 is actually more the CC's size - and the Mazda doesn't even have a back seat! Re LS1 woes. Obviously there may be a problem with these engines. 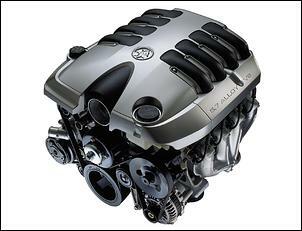 Over eleven owners I know of have needed engine replacements - not so good when you are paying extra for a so-called performance vehicle. I read the article "Talking with HSV's Chief Engineer - Part 2" and the comment "Sure, but engine seizure is a bit different... Look, I don't know - I've only been in this position for the last 18 months" almost made me fall out of my chair. I thought someone in his position was getting paid the big dollars to address issues like this. If I took 18 months to get up to speed on something as important to my market as this I would soon be joining the line at Centerlink. This attitude at the highest levels of management is just one of the reasons why after owning a number of Holdens my past choice was to go with a European manufacturer. 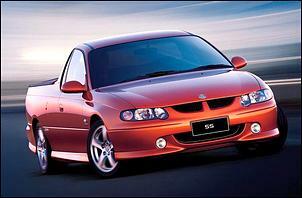 The next choice may be an Australian car (XR6T) but it definitely will not be a Holden. Maybe they should put this guy in charge of marketing. I must say that so far I've been very impressed by the quality of the AutoSpeed site and it's articles, I was a great fan of Julian Edgar's articles in FF&R and was an avid reader of Zoom magazine until he left. I only found this AutoSpeed a matter of weeks ago, and was very keen to sign up (the price per month was a bargain for all that info). So far the article of most interest to me was the boost control developed for the Audi, it had me confused at first, (required a few reads, it's always hard getting your head round someone else's concept) but after a while it made perfect sense to me, and I knew the system would work as described. I personally see the system as a merging between a fast boost anti creep system like the "Dawes Device" that is well known in the US (lots of the turbo Volvo guys use it), and a basic bleed device, that seems to be everywhere in Australia. I read with interest the funny letters to the editor from people who insist it would not work - I didn't finish high school and it made sense to me once I had worked the concept through. 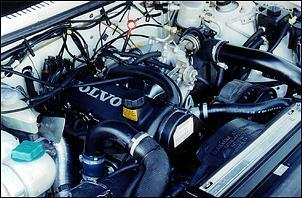 I'm planing on building one for my 85 760 Turbo Volvo (serious budget car worth under $5000), although I'd like to set it up so the valves are set into one block (I think the hardware is around to do that), and I'll contact you again to tell you how it went. I had one question though if you get the time to answer it, and that is, do you think the one-way valve will be necessary with Automatic gearbox? My first though was that it would not be needed, but I could be wrong? Regards. We'd suggest using a one-way valve regardless of transmission type - it's a sure-fire way to ensure no 'residual' wastegate line pressure is applied to the actuator. The valve is very cheap! Note - once the system is adjusted to suit, it's a good idea to check peak boost in each gear. Pressure can vary in different gears. You people claim to be the best online performance magazine. That is false. You have nothing on the world's best selling sports car - the Chevrolet Z24. There are more people out there driving them than about any other car in the world, and yet you offer no information concerning these cars. Please address this.